Want to speed up your Mozilla Firefox you may be using mobile internet which is very slow so you have to do some settings to your Mozilla Firefox which you will be learning now.If you are using broadband connection there is no need to do setting because broadband has good speed if you had made this setting this will not effect .If Your broadband connection is slow then definitely you should do to increase your browsing speed. 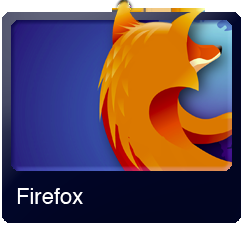 STEP 1:- Open your Mozilla Firefox and click on address bar and type "about:config" . STEP 2:-Press Enter Now it will show warning message click on i will be careful . STEP 3:-Right click anywhere on page then go to NEW---STRING Window will be appeared and then type ''content.notify.delay'' and press ok and put Value 00. STEP 4:-Right click anywhere on page then go to NEW---STRING Window will be appeared and then type ''nglayout.initial.paint '' and press ok and put Value 00. STEP 5:- Now search for network.http. in filter bar below address bar. STEP 6:- Double-click on "network.http.pipelining" to change the setting from false to true. STEP 7:- Double-click on "network.http.proxy.pipelining" to change the value from false to true. STEP 8:- Double-click on "network.http.pipelining.maxrequests" and change the number to "30". (very Important step please follow it (This step will increase your browsing speed)). STEP 9:-Double-click on "network.http.max-persistant-connections-per-proxy" to change the value to"10". STEP 10:-Double-click on "network.http.max-persistant-connections-per-server" to change the value to"10". STEP 11:-Double-click on "network.http.max-connections" to change the value to"50". Close all tabs and restart your system now your Mozilla is ready to browse faster then earlier . please share and do comment if you have any difficulty .